Buy more, pay less. Save up to 20% with the HP Twin Pack. These cost-effective duplex HP 57 colour print cartridges are suitable for users with large print volumes. These cartridges will allow you to print up to 1000 A4 pages at 5% coverage. For shipping to other EU countries visit this page HP C9503AE No. 57. Für Versand nach Deutschland, besuchen Sie bitte HP C9503AE Nr. 57. Chcete doručit zboží do Česka? 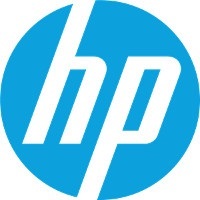 Prohlédněte si HP C9503AE č. 57 barevná. Chcete doručiť tovar na Slovensko? Prezrite si HP C9503AE č. 57. Magyarországra történő kiszállításért tekintse meg ezt a termékoldalt: HP C9503AE No. 57 Color Tomorrow - DJ5550, DJ450, PS 7x50, 7x60 PS, 1x0, HL 5510.